The doctors of Dr. Facchiano and Associates are private practice optometrists who are committed to their patients, giving excellent patient care in a comfortable family setting. Our clinic services the Rockford, IL area with state of the art equipment to help diagnose and treat eye diseases as well as a large selection of contacts. Our doctors excel in fitting specialty contact lenses, co-managing refractive surgery and treating and managing glaucoma and other eye health conditions. Eyes are important indicators of overall health, and comprehensive eye care goes beyond a prescription for glasses or contact lenses. 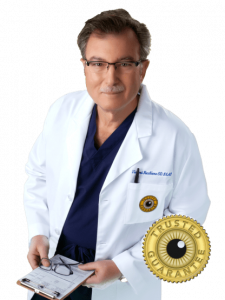 Dr. Facchiano and Associates, we take the time to get to know you, your eye care history, and your vision needs. Our optometrists provide the expert care, advice, options, and follow up you need whether you are a new patient or an existing one. We look forward to personally tending to all your eye care needs. Overall great experience. my technician Giselle was very polite and walked me through everything as well as the doctor very polite. Will always come here for all of my family’s appointments. Lauren and the staff are amazing. Lauren and Cindell were very warm and friendly! Their customer service was very efficient and second to none! I was having a very difficult day with my daughter and these angels were so amazing!! !......Thank you Lauren, Giselle and Cindell. You ladies are awesome!!!! This practice is so lucky to have you. Thanks again. Will always come here for eye exams because of you all. I have been a patient for the last four years. I have all ways seen Dr. Facchiano and he is a very patient and kind Dr. The technician that took me threw has been there a while and is always very patient and present to be around ( Lauren). I would recommend this location to all of my family and friends. Very good and patient service from Lauren. She handled all my contact needs from start to finish with great knowledge and care. Clarifye maps the precise digital “fingerprint” of your eyes, to pinpoint the exact prescription. Digital eye strain is an increasingly common condition as digital devices become more ingrained in our daily lives. Our doctors offer emergency services that require immediate and urgent eye care. We treat eye emergencies such as Eye infections, floaters in vision, eye injuries, scratched eyes, pink eye and broken contact lenses or eyeglasses. We specialize in contact lens fittings and dispense almost every type of contact lens. We can fit patients with popular brands or with specialized lenses that meet very specific needs. At Dr. Facchiano and Associates, you will find the most caring and certified technicians and highly experienced optometrists in Rockford, IL dedicated to providing exceptional eye care experience for all ages, including pediatrics and geriatrics, in a warm and relaxing environment. Why Choose Dr. Facchiano & Associates? Board certified therapeutic optometrists dedicated to continued learning and assures accuracy and thoroughness. We give back to our community through Kiwanis, Gift of Sight & Lions Club. We use automated appointment reminders for patients to keep them up-to-date with eye exams. We use the latest technology for specialized diagnostic testing, providing complete medical and optical care. We accept most medical and vision insurances. We have the broadest scope of contact lens treatments in the area many in stock for same day delivery. Our comprehensive eye exam includes checks for cataracts, macular degeneration, retinal disease, glaucoma, allergy eyes, dry eyes, diabetes and hypertension and much more. Co-manager of cataracts, LASIK surgical treatments and glaucoma treatment and testing with area doctors. Available each day of the year so you can depend on us to be there whenever you have a question or concern about your eyes. We provide a contact lens and glasses prescription satisfaction guarantee.